What’s A Geek: Hey Joe, good to see you again! WAG: So, it’s already your 4th visit to the country, correct? What makes you keep coming back to the Philippines? JI: I love it here! I love the people here! I’ve been to many countries, but the Philippines is one of my favorite! 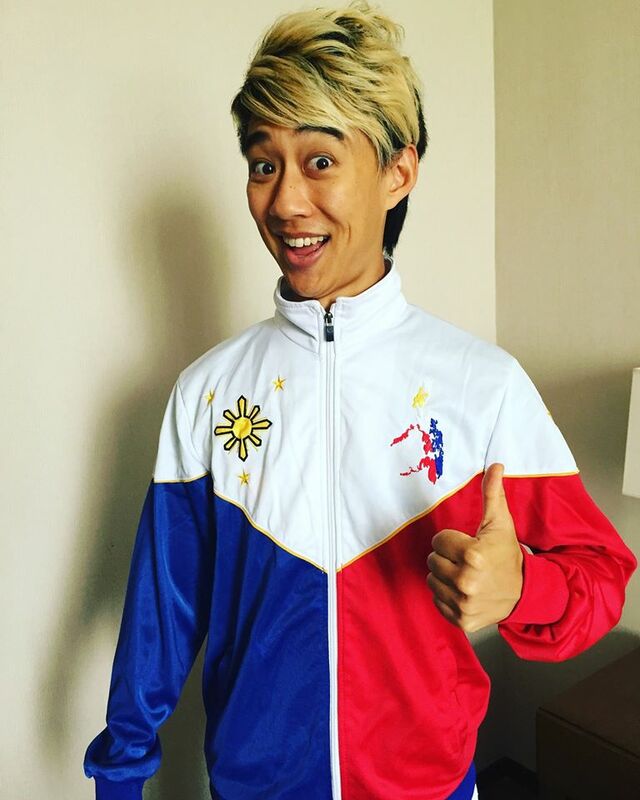 That’s why I’m even wearing this jacket (Philippine flag design), haha! Everyone rocks the show here. It’s not just me. It’s everyone! That’s what keeps me excited every time I come here, it always keeps me fired up! WAG: Wow! That’s really awesome! JI: Nope, you guys are awesome! WAG: Shucks, haha! So here’s my next question: What’s a Geek for you? JI: Geek? You mean G-E-E-K? WAG: Yep, that very word. JI: Ah, ok. Well, I’m a geek. A BIG MUSIC GEEK! It’s all about you having passion for something. It’s about HEART and PASSION, having that special something I can really concentrate on, that will make me feel at peace. WAG: Man, I’m touched! You’re a really cool guy! It’s a real honor to talk with you, thanks for having me! JI: Hey, I may not be the most known artist, but I wanna be down to earth and be able to interact with my fans. It’s because of you guys I’m here! 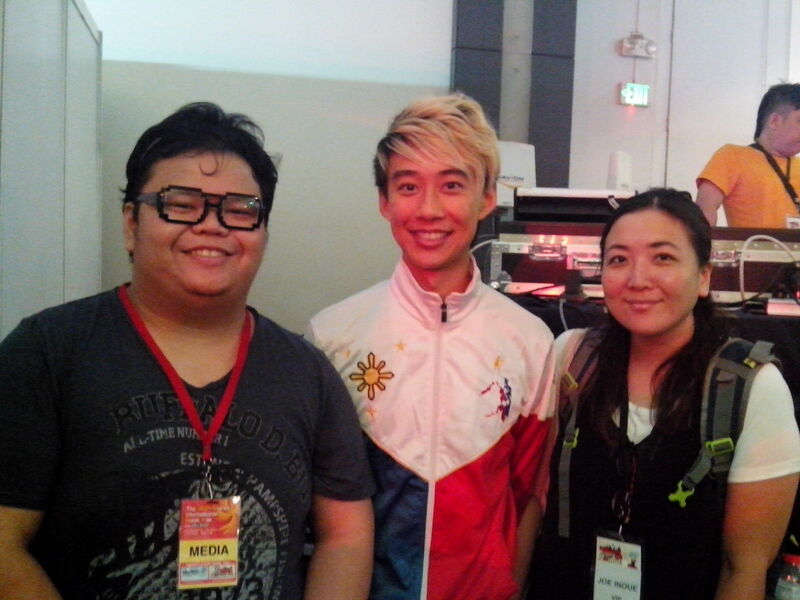 DON’T MISS: Nihongo Fiesta 2016 - Japanese Fun for Everyone! Honestly, that last thing he said really hit me! It really proves that not only is Joe Inoue an amazing song writer/performer, but he’s also a great guy! Not every other artists would be this approachable! Summing it all, I say Joe’s my guy now! Once again, this is TrickyBaymax, signing off! 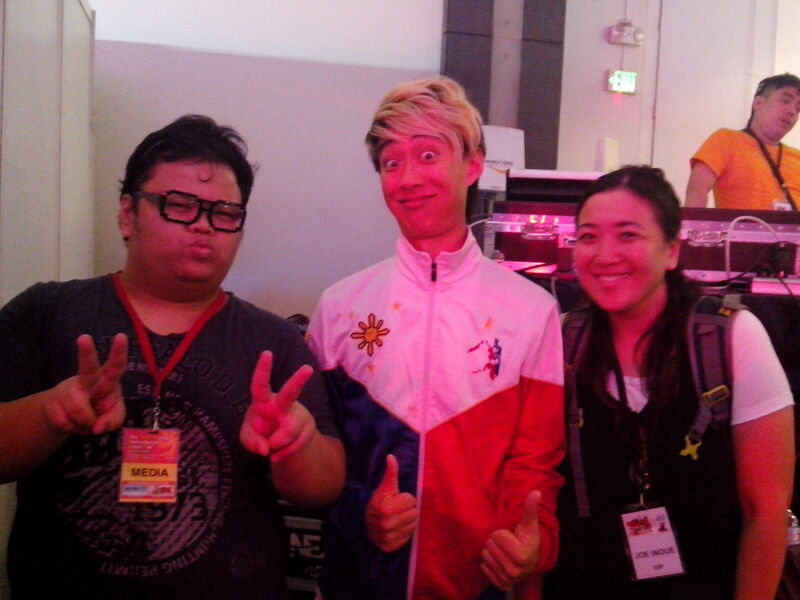 Who does a wacky pose with his interviewer? Joe does!